City of Heroes | Kris Johnson's Blog…sort of. It’s been a while since I’ve blogged about video games, largely because I was going through a bit of a dry spell in that arena. That all changed about a month ago when, after about three years of nagging from a friend, I reinstalled City of Heroes. ((This is not an exaggeration. I had characters that were inactive for well over 1200 days.)) Well, technically, I installed City of Villains, but the fine folks at NCSoft bundle the subscriptions to both, so “upgrading” to City of Villains got me 30 days of free play on both games. City of Heroes/Villains (PC) I’ve only played three Massively Multiplayer Online Games, ((The other two: Earth & Beyond and the original iteration of Star Wars Galaxies.)) but City of Heroes is by far my favorite. A friend at work has been trying to get me to join the cult of World of Warcraft for several months, but elves and orcs don’t appeal to me as much as capes and cowls. I meant to create a few villains during my 30-day “trial” period, but was having so much fun with my cadre of heroes that I never bothered. Destroy All Humans 2: Make War Not Love (Xbox). Long-time readers of this blog will undoubtedly know that I’m not especially good at completing video games. I once lost a bet because I couldn’t finish two games in a year. Every once in a while, though, a game grabs hold of me much in the same way a crocodile siezes a wildebeest, its jaws clamping down on the unwary ungulate’s throat until the final twitch is twutch. Destroy All Humans 2 had all the elements necessary to be that game, plus I began playing just when Laura and Kyle fled to Florida for a week, leaving me free to play and play and play some more with no one wanting to watch The Wonder Pets! or (worse)The Closer. ((Seriously, Kyra Sedgwick’s accent drives me up the wall. I’d much rather hear Ming Ming duckling say “this is sewious” than listen to Mrs. Kevin Bacon drawl her way through another interrogation. That’s why she’s so good at what she does: five minutes in a room with her is enough to make even the most hardened criminal confess to anything as long as she will just shut up, fer crissakes!)) The story takes place in 1969 and follows Cryptosporidium-138, an alien invader who (in the first game) managed to infiltrate the White House. Now, however, the Russians have destroyed his mothership and he’s out for revenge, uncovering a vast conspiracy (and meeting a dangerously enchanting female KGB agent) along the way. The dialog is amusing (rife with innuendo and not at all appropriate for young kids), the missions are challenging but almost never frustrating, and the variety of weapons that Crypto acquires for himself and his flying saucer as the game progresses make destroying humanity fun for the whole family. Except the kids. And probably wife. Elder Scrolls III: Morrowind (PC). I own this roleplaying game for both the PC and the Xbox, ((But not the Game of the Year edition that includes both the Tribunal and Bloodmoon expansions. No, that would be too convenient.)) but I’ve never really taken a character beyond Seyda Neen (the village in which the hero begins the game). Once upon a yesterday I named Morrowind as my “Island Game”, the single title I’d take with me if I were stranded alone on an island and somehow miraculously had both a computer and the electricity necessary to play games all day (instead of building a raft or a signal fire, I guess, which seems very typical of me). I’ve heard so many good things about this game (and even better things about Oblivion, its successor) that I’m determined to play it through, come hell or high water. Homeworld (PC). I blame Sam Chupp for this one. He casually mentioned that he couldn’t stop playing Homeworld and I suddenly developed a nervous tic that wouldn’t go away until I dug out the install CDs for not only Homeworld, but Homeworld: Cataclysm and Homeworld 2. This 3-D realtime space simulator has everything: beautiful graphics, compelling story, intuitive interface, engaging gameplay, and some of the best sound effects and music I’ve ever heard in a video game. Very few games have been able to pull me so completely into their universe, but Homeworld is definitely one of them. Command & Conquer Generals (PC). Ah, the alphabet. Because I have my games arranged alphabetically, I stumbled across the Command & Conquer Generals discs in my hunt for Homeworld and then next thing I knew I was installing the game. Generals never really ran well on my PC, but it’s beautiful now that I’ve upgraded. I have never finished an RTS (though I came close with StarCraft and Warcraft III: Reign of Chaos), but there’s a first time for everything, or so I’ve heard. Freedom Force (PC). Now here’s a game I have finished. In fact, I finished the sequel (Freedom Force vs. The 3rd Reich) in about a week, which was (at the time) entirely unprecedented. I need to scratch my superhero gaming itch, and this is definitely the game that’ll do so. The first time I played through I was only concerned with completing the story, but if there’s one thing I’ve learned from Destroy All Humans 2 it’s that completing one hundred percent of the game—leaving no stone unturned, no objective unaccomplished and no shiny ungrabbed—is immensely satisfying. My goal with Freedom Force is to complete every secondary objective of every mission; no mean feat, as usually the secondary objectives are only revealed after the mission is complete. 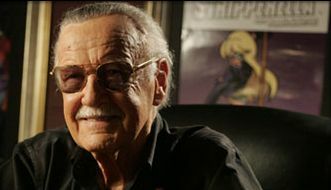 Stan Lee has signed on to create superheroes for Disney. I love Stan Lee as much as the next guySo long as the next guy is a huge superhero geek., but I’m wondering if Disney has taken a good look at some of Stan’s more recent creations. Mosaic was decent, but Lightspeed (starring Jason Connery) was positively abysmal. I haven’t seen The Condor yet, but the trailers prominently feature a half-pipe and Tony Hawkish skateboarding sounds, all of which reminds me of Night Thrasher from the New Warriors, and that’s not a good thing (sorry Night Thrasher). Tom DeSanto (producer of the upcoming Transformers movie) is reportedly working on a live-action City of Heroes movie. City of Heroes is the MMORPG that sucked up massive quantities of my time a couple of years ago until upgrades to the game surpassed the capabilities of my computer and puny dial-up Internet connectionI’ve switched to a cable Internet connection, but my computer is still only barely capable of running the game.. One of the things I really liked about the game was the massive backstory NCSoft built around Paragon City and the surrounding area. Quotes from DeSanto lead me to believe that the movie will cover the alien invasion that takes place before the game begins. Color me interested. Soon I Will Be Invincible is Austin Grossman’s first novel, and there are already rumors that it is being adapted to film. Grossman is a game design consultant who has worked on two of my favorite video game franchises: Thief and Deus Ex. According to the official site, Invincible is “[a] wildly entertaining first novel, brimming with attitude and humor, featuring a cast of dozens of super-heroes and super-villains…” The buzz I’m hearing is very good, perhaps even good enough to make me break my “no hardcovers” rule.